Hondas can be very divisive – its either love to the point of obsession or complete hatred but how can you not marvel at Honda’s VTEC engines. In the late 80’s/early 90’s when turbos were all the rage, Honda decided to go their own way. What they offered instead was not so much an engine but a technological marvel which revved forever and through variable valve timing wizardry offered power right up to the redline. 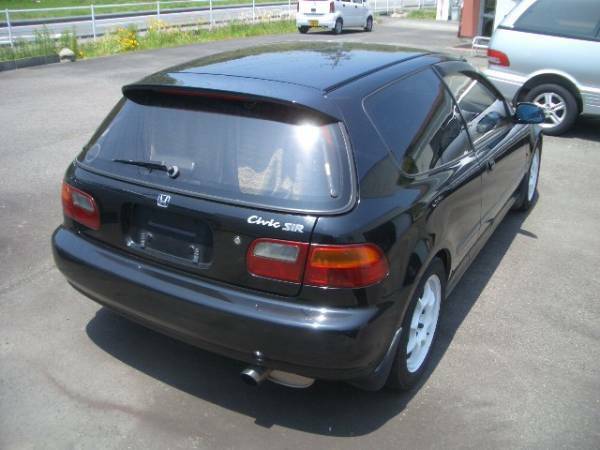 The EG6 Honda Civic SiR made from 1991-1995 is the one to have. The EG6 is an excellent chassis which has over the years proven hugely successful in racing. Even 25 years after its launch this Civic looks fresh and its sleek body shape is iconic in the tuning world. Combine this with the VTEC engine and you have the recipe for true legend. Just now becoming US-legal, many find JDM examples to be too expensive as they command a much higher premium than USDM models. However, there is a good reason for this and these cars are getting to be more rare by the day. Prices are not going to be going down. Go for one as original as possible and add bolt-on options as you choose later. OEM JDM options are very desirable and having those stock parts on hand will really increase the value.